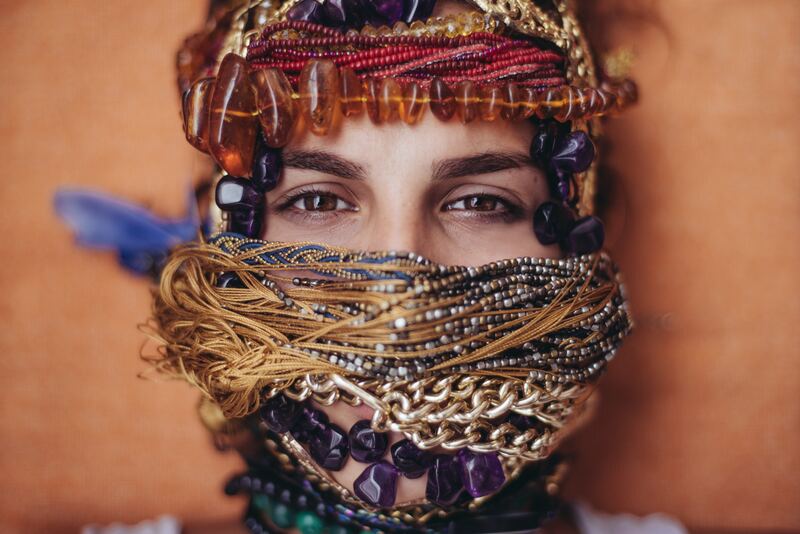 We all love our necklaces, but what if you could wear one that it known to protect you. You may not believe in touch myths like the evil eye curse but it is well known across many cultures. The belief is that if you receive an evil eye symbol from someone, it can actually cause you much injury or misfortune. To fight back the symbol Talismans have been created to repel the evil eye. 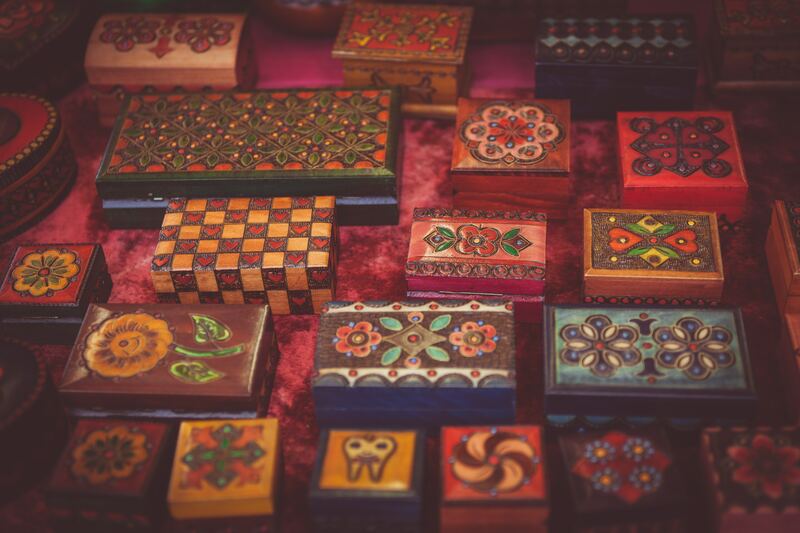 These also feature an image of an eye and have been historically made in the form of a decoration or piece of jewelry. Belief in the curse is very strong across Europe, Central America, Latin America, West Asia, Central Asia, East and West Africa. 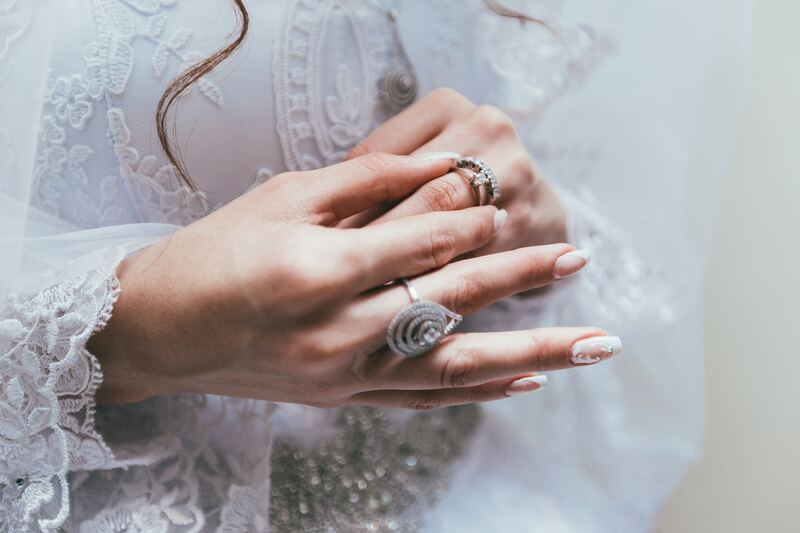 In recent years the Talisman has become a very popular accessory and the symbol of an eye has been transferred onto rings, bracelets and necklaces. Here are some our much loved necklaces that you’ll definitely want to invest in! If there’s one thing this necklace isn’t missing its diamonds! 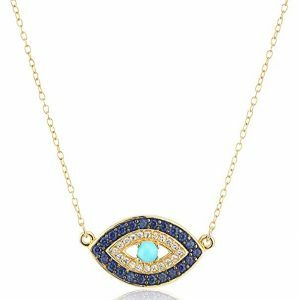 This gorgeous necklace displays a large evil eye pendant that looks absolutely stunning. The outer eye has been created using clear diamonds that shimmer whilst the inner pupil is made from a blue stone. You’ll notice that a lot of detail has gone into this necklace which is why we love it so much! This necklace has been created using a gold plated brass alloy metal which gives it a golden shine. The evil eye pendant is approximately 2.7cm by 1.9cm and includes a brass chain that is approximately 40.5cm long. The chain also offers an adjustable 7cm if you require the additional length. 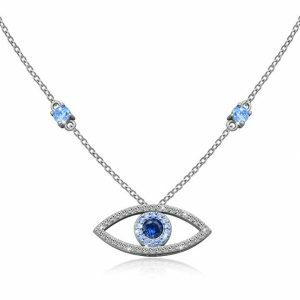 This evil eye necklace is believed to protect its owner from envy and evil spirits. It is also a very cute piece of jewelry that has been created to the highest quality. This piece of jewelry has been created by Darget and is being sold for a very low price. Take a look at Dargets website because they offer a variety of earrings which are unique and individual. This is another of our favorite necklaces which sparkles with diamonds! The gorgeous necklace is made up of a gold chain and shimmering pendant. The pendant has been designed with an outer layer of deep dark blue diamonds followed by an inner layer of clear white diamonds. The center of the pendant has been created using a turquoise colored stone which complements the diamonds. This necklace is definitely a statement piece that you’ll certainly love! This dainty necklace would make the perfect addition to your jewelry collection. The necklace has been made from 18k yellow gold plated sterling silver. This color of plating not only makes the necklace durable but also enhances its shine. When it comes to the diamonds these are white and blue sapphires. The eye has also been created with a genuine stabilized turquoise in the center. The necklace also features an 18 inch cable chain with a spring ring closure. This stunning necklace has been made by Amazon Collection and is being sold for a low price. Looking closer at the Amazon Collection they offer a selection of jewellery including necklaces, bracelets, earrings and rings. All of the pieces featured include diamonds, cubic zirconia gemstones and pearls. 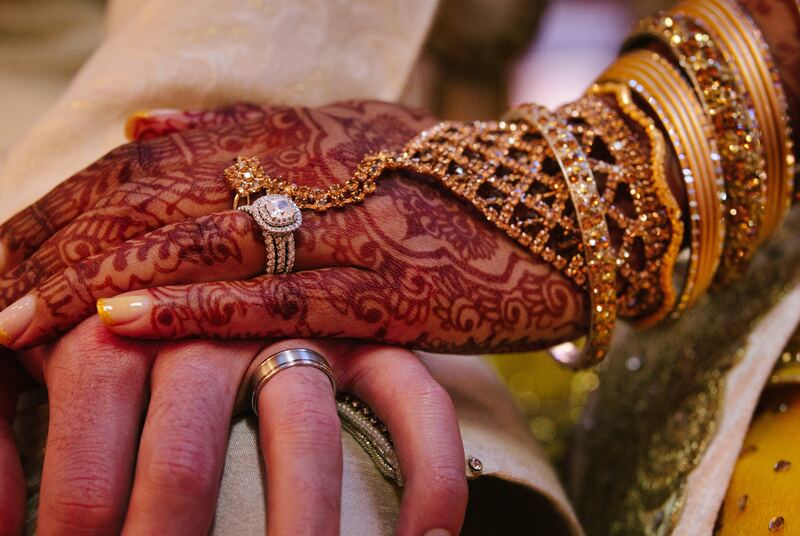 One thing you can expect from this jeweler is beautiful designs. 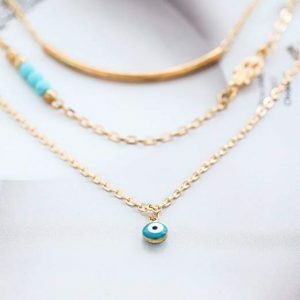 We love this evil eye necklace because the jeweler has taken the traditional pendant and modernized it to make this beautiful piece of jewelry. This stunning necklace displays lots of sparkle which we simply love. Even though this design is meant to resemble an evil eye it could actually be mistaken for a flower. This necklace consists of a row of dark blue diamond’s which have been cut into a circle. The inner row consisting of clear white stones has also been cut into smaller circles. Inside this row there is also a row of yellow diamonds and then a single dark blue diamond in the center of the pendant. We love that the yellow diamonds brighten up this pendant and make it stand out. The necklace is then completed with a sterling silver chain. This gorgeous necklace has been made using a beautiful sterling silver metal which makes the piece smooth, shiny and durable. The round pendant that makes up this piece is approximately 9mm by 9mm by 3.3mm. The stones featured in this pendant are cubic zirconia gemstones that look like real diamonds. The piece is made up of 19 blue cubic zirconia diamonds that are approximately 1.1mm in diameter and 12 white cubic zirconia diamonds that are 1.1mm in diameter. The piece also includes 6 champagne colored cubic zirconia diamonds. The necklace features a silver chain that is approximately 1.3mm wide by 16 inches long. The chain can be also be extended by an additionally 2mm, allowing you to adjust it if required. This sterling silver chain is also rhodium eco-friendly and nickel free which means it is safe to wear if you have sensitive skin. To give you an idea of the size of this necklace, we’d describe it as being small and dainty. You could also compare this piece to a choker style necklace. This evil eye necklace would make a lovely birthday present for someone or even a lovely gift to buy for yourself! This necklace comes with a cute little jewelry box and is being sold by Kaletine for a low price. When you take a look at their collection, you’ll notice that they love their evil eye themed jewelry. They offer a variety of pieces including necklaces, earrings and rings. If you like this necklace you can buy the entire set! Take at look at their website now. If you like simplistic jewelry you’ll love this necklace! The necklace has been designed using a gold shiny metal which replicates the shape of an eye. 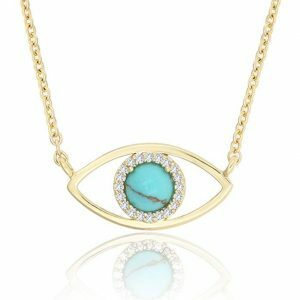 Within the evil eye symbol it features a circular shape consisting of turquoise stone and includes a rim of glistening diamonds around the edge. These clear diamonds have been cut into a circular shape and look stunning. One thing’s for certain this is a stunning piece of jewelry would look lovely worn on anyone’s neck. To give you an idea of the size of this necklace the pendant is approximately 0.7 inches by 0.4 inches and has a chain which is approximately 16 inches. This necklace also offers an additional 2 inches allowing the chain to be extended if needed. This necklace has been created using a 14 carat gold metal which is long lasting and resistant to tarnishing. The gold is also lead and nickel free which is great if you have sensitive skin. This beautiful piece has been made using a natural turquoise stone in the center of the pendent with clear cubic zirconia rhinestones surrounding it. What’s great about this piece is that is comes in a cute little jewelry box, keeping your precious necklace safe from damage. The design is also meant to protect you from bad luck and bring you good luck. It comes in a variety of colours including turquoise, clear quartz, labradorite and lapis lazuli, giving you plenty of choices. This piece of jewellery has been created by KISSPAT and is being sold for a low price. If you take a look at their collection they sell a selection of monogram pieces, gemstones and lots of decorative pieces with plenty of colour. This necklace is a very cute accessory that would look great worn with any outfit. This pendant is definitely a daintier piece of jewelry which has been designed with the iconic evil eye design imbedded with the pendant. 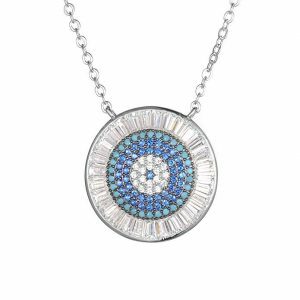 The piece includes an outer edge consisting of blue diamonds followed by an inner circle of clear diamonds and then a blue diamond within the center of the necklace. All of the diamonds used have been cut into a circle shape and together create a stunning piece of jewelry. This necklace has been created and sold by SilverCloseOut who love their jewelry. The piece has been made using a solid sterling silver metal that has a rhodium plated finish to it. This rhodium finish will prevent this necklace from tarnishing and will make it extremely durable and long lasting. The beautiful diamonds featured within this piece are cubic zirconia gemstones. These blue and clear simulated stones have been positioned in place by prong setting. To give you a rough idea of the size of this piece, the pendant is approximately 6mm in diameter. The pendant comes with an adjustable box style chain which is approximately 16 inches but allows for a 2 inch extension if required. 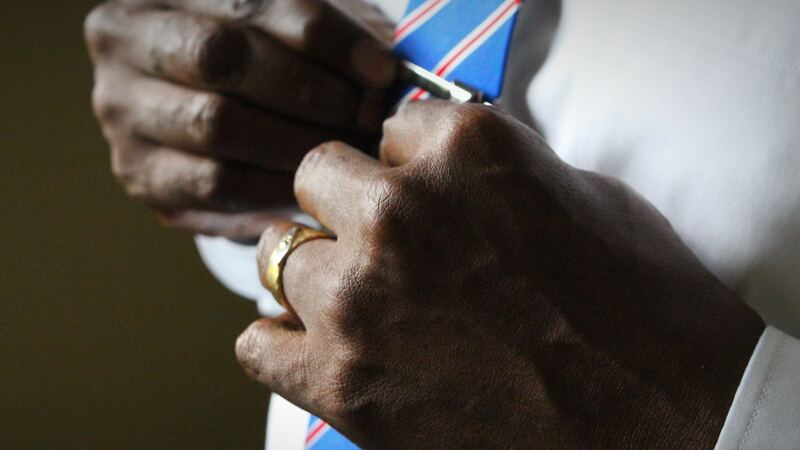 The chain also features a spring ring clasp allowing it to be easily put on or taken off your neck. This pretty piece will arrive in a gorgeous black velvet gift box that features a pretty little white bow on the lid. What we love about this item is that you won’t need to spend the extra money on gift wrapping for this piece because the jeweler does it for you. This necklace is also being sold for a low price so this is a great bargain! If you take a look at SilverCloseOut collection they offer a variety of beautiful pieces. Necklaces, rings, bracelets and earrings and plenty of diamonds! With their jewelry you won’t be disappointed! We love the detail that has gone into this evil eye necklace! This is a standalone piece that will definitely get heads turning. The gorgeous evil eye center piece contains dozens of diamonds that shimmer and sparkle beautifully. 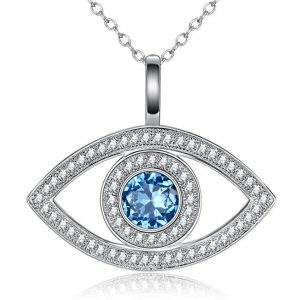 The eye also features beautiful blue stones to represent the pupil itself. These stunning blue diamonds are then featured within the chain, creating lots of glamour. The necklace has been created using a lovely sterling silver metal that is nickel free and safe for people with sensitive skin to wear. The lovely pendant has been designed using blue cubic zirconia gemstones which have been positioned in a 4 prong setting. The pendant is approximately 20.5mm by 8.8mm in size. The sterling silver used has a white gold plating which gives this piece a high polished finish. The pendant is attached to a cable style 18 inch long chain which has a lobster claw clasp allowing your necklace to be easily put on. It’s important to point out that this chain is adjustable so will fit most necks. It also features a blue sapphire stone either side of the chain which complements the cubic zirconia diamonds. This is a great piece that would make a lovely birthday present for someone celebrating their special day. This would also make a nice addition to your jewelry collection. This pretty accessory will arrive in a purple gift box that has a gorgeous silver satin ribbon on it. The necklace is being sold by Freeco for a low price. 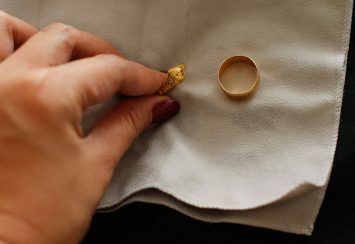 If you take a look at their extensive collection they sell gorgeous sterling silver pieces as well as rose gold pieces. If you browse their collection you’ll notice their love and passion for making necklaces. Take a look today! This necklace oozes elegance! Even though this evil eye necklace is smaller than some of our other necklaces you can still expect plenty of sparkle! We love how this pendant has been designed with a more simplistic vibe to it. It has been created as a small circular pendant which contains a navy blue, white and gold circle in the middle, representing the evil eye symbol. 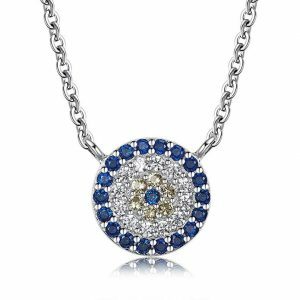 This pendant also features an outer navy blue circle which has been framed with beautiful diamonds. These have been cut into a circular shape and are positioned close to each other creating a continued line around the edge of the pendant. This delicate charm is then looped onto a dainty chain completing the necklace. This gorgeous necklace is not only meant to bring you good luck and protect you but the necklace is also a very tasteful piece of jewelry. As well as the iconic evil eye symbol this pendant features pave crystal rhinestones that brighten up this mini pendant and make it stand out on the chain. To give you a more accurate idea of the size of this pendant it is approximately 4cm wide by 4cm in length and has been safely held on a 16 inch long chain. What we really like about this necklace is that the designer has chosen to include a gold tone color to feature throughout the necklace, from the detail included in evil eye to the detail surrounding the crystals and gold chain. This designer also offers you a 30 day money back guarantee if you’re not 100% happy with your purchase. This stunning piece of jewelry has been created by LUX ACCESSORIES. Taking a look at their extensive collection online, the best way to describe it would be pretty! They offer necklaces, earrings, rings and bracelets. The designer specializes in bridal pieces, hair accessories, themed pieces and slightly more special gifts. This particular necklace is being sold for a low price which makes it a very affordable purchase. The price is even more of an excuse to buy a pair of earrings or a pretty bracelet to wear with your necklace. 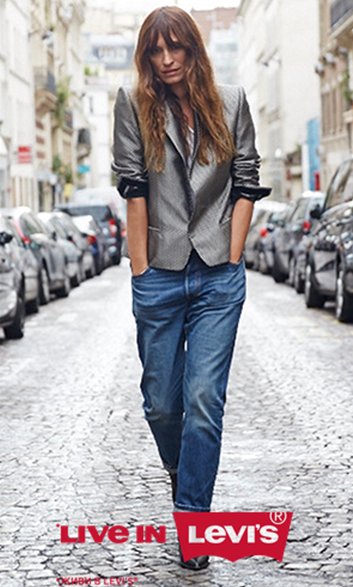 We simply love their style and am certain you will too! Layered necklaces are bang on trend at the moment and this evil eye layered necklace is no exception. You’ll be certain to stay ahead of the latest fashion with this pretty necklace! This layered style necklace consists of three individual chains which vary in length. The first chain is the shortest in comparison to the other two chains and includes a more minimalistic design like a sleek metal curved bar. The second chain is slightly longer and features a set of three turquoise colored beads in a continuous row. At the other end of this chain it features a pretty little golden charm. The final chain is slightly longer than the other two chains and features a dainty evil eye charm. 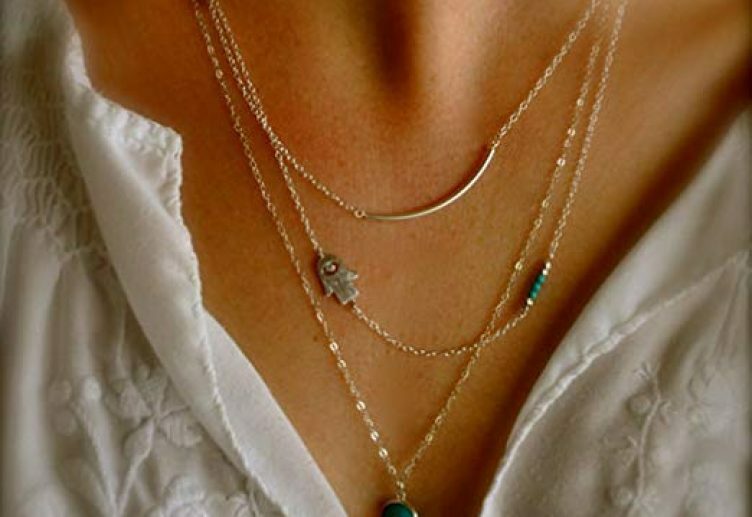 When it comes to length and detail, these three chains work perfectly together and make a lovely layered style necklace. The choice of gold colored alloy really gives this necklace an elegant vibe. The inclusion of the evil eye symbol also makes this piece of jewelry a lovely gift to give to a friend as a birthday present or as a special gift. When it comes to the size of this necklace the perimeter of the gold necklace is approximately 17 inches. One of the reasons why we love this piece is because of its long shiny chain. It is a lovely statement piece and would look wonderful with a shirt, dress or low neck top. This accessory is great to wear on a daily basis and would look stunning on a night out with the girls. This necklace has been designed by Artio and is being sold for a very low price. Browsing their collection they offer a range of pretty layered necklaces, suitable for different occasions. They also specialize in gorgeous hair pieces suitable for a special occasion like a wedding. Looking at their range of jewelry they put a lot of attention to detail in the design and materials used to create the jewelry. As well, they love using jewels to give each piece a breathtaking sparkle which you won’t forget in a hurry. Take a look at their collection, you know you want to! Check out this statement piece, it really is a standalone piece that will get heads turning. If you like your diamonds you’ll love this piece of jewelry! It consists of a striking sterling silver pendant that features sparkling diamonds. The pendant has been created using a simplistic design. It consists of an eye outline, a light blue diamond in the center of the pendant followed by clear diamonds around the edge of the piece. This gorgeous pendant is much larger than our other necklaces. This necklace has been crafted from a sterling silver metal which has been shaped into an evil eye shape. To give you a rough idea of the size of this pendant it is approximately 1.18 inches by 0.95 inches and weighs approximately 2.34g. The sterling silver has a high polish finish which makes the piece very shiny. Another great thing about this silver is that is hypoallergenic which means it’s safe for you to wear if you have sensitive skin. The piece is also nickel free and is resistant to tarnishing. What really draws your eyes into this piece of jewelry is the array of dazzling diamonds! Even though these stones look like real diamonds they are in fact white synthetic cubic zirconia gemstones which have been cut into a round shape. These gorgeous stones have been positioned in a flat top setting, showing off the gemstones. This pretty pendant has been featured on a rolo style sterling silver chain which is approximately 18 inches in length and features a spring ring clasp that makes this necklace easy to put on and remove when required. It’s great to know that this pendant is also available in different designs including an eye of a lover, infinity arrow, key, only one, in my heart and a pearl necklace, giving you plenty of choices. This stunning necklace has been created by BGTY and is being sold for a low price. Wrapped in a gift box, this precious necklace will arrive in a cute little white gift box that has a white satin bow tied around it and features a polishing cloth in the box. Already gift wrapped, this necklace would make a lovely birthday person for someone special in your life. BGTY also specialize in creating beautiful sterling silver pieces that contain dozens of diamonds. We love their collection and so will you! 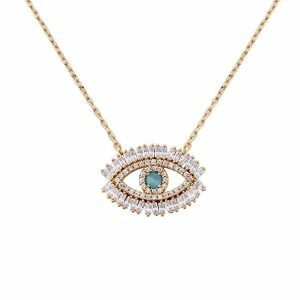 To finish off our roundup of the top ten evil eye necklaces we thought we’d end on a high with this unusual necklace. What we love about this piece is that the colors and use of materials within this necklace make this piece of jewelry give off a fantastic shimmer. What makes this piece special and unique is the use of patterns, textures and colors. The pendant is made up of a clear outer rim of shimmering jewels than a row of turquoise jewels inside and two rows of dark blue jewels. 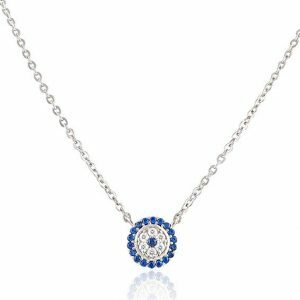 The pendant also features a row of clear diamonds and a single dark blue jewel in the center. Altogether, this necklace is a beautiful piece that sparkles in the light. This necklace has been created using a rhodium plated brass metal. It’s important to point out that this piece is nickel, cadmium and lead free, making it safe to wear if you have sensitive skin. The pendant has been designed in a circular shape and features a variety of cubic zirconia jewels that have been secured in a pave setting. The individual gemstones have been cut into a round shape. 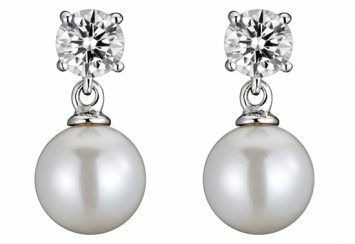 These simulated cubic zirconia gemstones are a great alternative to diamonds because they are much more affordable, are meticulously cut and give off a brilliant shine. This gorgeous pendant has been placed on a role style chain which is approximately 0.59 inches in length. The chain also features a lobster claw clasp making it easy to remove the necklace from your neck. We love this necklace because it is suitable to be worn on an everyday occasion however if you want to brighten up an outfit and add a little bit of shine to it this pendant contains plenty of shimmer and sparkle. This necklace would make the perfect gift if you’re looking for an anniversary present. The lady in your life would be very pleased to receive a gift like this. This gorgeous accessory is being sold by KIVN Jewelry who offers an extensive collection. All of their designs are unique and individual and offer plenty of color. Rings, bracelets, necklaces and earrings, they offer a collection of wonderful pieces that you’ll struggle to choose from. Take a look at this collection now!